CSC Services is one of the most qualified expansion joint repair companies in the industry. We offer a variety of mechanical (construction) and expansion joint repair solutions for perished or damaged joints and cracks. These include hypalon bandage systems which are secured and sealed to each side of the expansion joint or crack using epoxy resin adhesives. 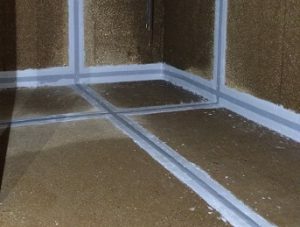 The systems that we use, unlike some other expansion joint repair companies, are chemical resistant and will alleviate water egress and ingress whilst allowing the expansion joint to accommodate movement. A variety of pourable and bulk gun applied expansion joint sealing systems are available where both foot and vehicle traffic may be an issue. CSC Services can also install Emseal Expansion Joints and Precompressed Sealants. The latest structural expansion joint treatment brings together many of the benefits of several different systems into one. 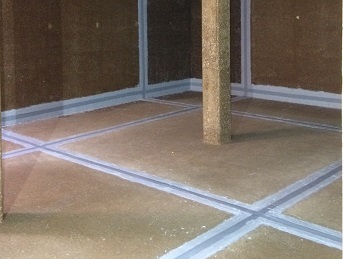 It offers a watertight, fire-rated, trafficable solution that can withstand seismic movement. It is used for sealing and bridging structural joints in foundations, decks, walls, windows, floors, roofs as well as roadways and bridges. The system is bespoke produced from site drawings, and CSC Services are the trained and approved UK installer. DWI (Drinking Water Inspectorate) approved products are also available. These systems can be supplied and installed by our fully qualified and experienced operatives. Our teams all have CSCS cards, EUSR Water cards, DOMS, Confined Space Certificates and are BSVR (Baseline Security Vetting Register) and CTC (Counter Terrorism check) vetted as a minimum. Images below are of expansion joint repairs in a Service Reservoir. CSC Services have completed expansion joint repair work at a range of water companies across the country and to culverts and cable tunnels at Dungeness and Hartlepool Power Station for EDF Energy. 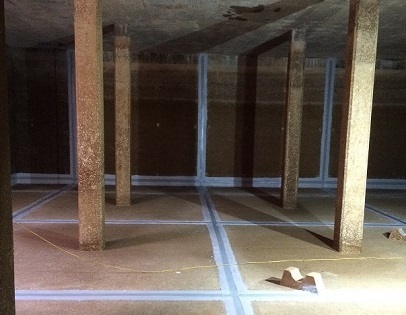 The images show expansion joint repairs completed for a UK utility company in a Service Reservoir.